The Disney Cruise Line has a great deal for 3-Night Disney Dream Sailings to the Bahamas in December of 2011 (which is only a few weeks away)! Get a chance to enjoy this marvelous new ship for just $630 per person based on double occupancy for "Verandah Stateroom with Restrictions" bookings. This special rate is only valid for new bookings. Government Taxes and Fees are not included. See Important Details. 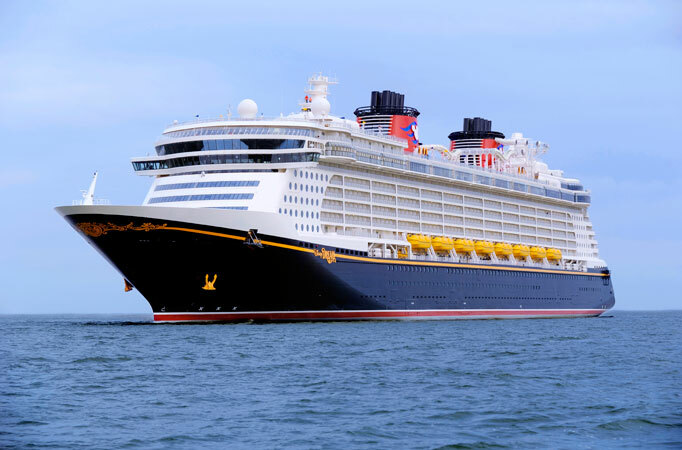 Enjoy the amenities of the Disney Cruise Line's newest ship. Experience the AquaDuck, the very first water coaster at sea, or enjoy the smoothing world class spa. Every Disney Cruise is filled with the legendary Disney service and entertainment. This 3-Night Bahamas cruise includes a stop at Castaway Cay—Disney's private island in The Bahamas—and enjoy your own personal paradise. From lively activities for the entire family to uplifting downtime on an adult-exclusive beach, Castaway Cay offers plenty of ways to unwind. Gratuities, Government Taxes and Fees are not included. Rates are is U.S. Dollars. *Guests under 18 years of age must have their parent or guardian call this number.